Our vacation was a fantastic experience thanks to your advice and kind assistance. We were extremely lucky to find Lazy Days and are extremely grateful for everything you did for us. Renting Dakar was a real pleasure and the perfect solution for our trip. We had the time of our lives in Ireland and we fell in love with your country. If we ever come back we will be surely drive one of your vans! Finally back home after our month long excursion abroad. Thank you so much for letting us use Big Blue (aka Steve McGarrett / Hawaii Five 0). He is a beast! We had a magical time in Ireland and it was truly the best time of our entire trip. Thank you sooooo much. We loved the 2 weeks with Jaws on the WAW and for sure will be found daydreamin' on the good moments we had in Ireland. The perfect way to spend an Irish Holiday. We rented Barry White for short break in July and wish we could have kept him forever. So comfortable, reliable and spacious. Every small town we passed through, big waves and smiles all round. A better experience than 4 days in Costa De Sol. Sue and Patrick were extremely helpful. Really friendly and made you fell like an old friend not a new client. We are still talking to our friends and family about the wonderful experience we had. All I can say is that Lazy Days, is the best Lazy Day you could ever have. We will be returning for another soulful voyage. Thank you Sue & Patrick!!! My wife and I rented Big Blue for an extra long weekend. The bus was excellent and Sue and Pat are so professional. Sue gave us a complete run down of the camper before we set off and really made us feel at ease. The whole process was stress free and relaxed. I would highly recommend Lazy Days to anyone looking for an adventure. We will most definitely be back. Thanks guys! 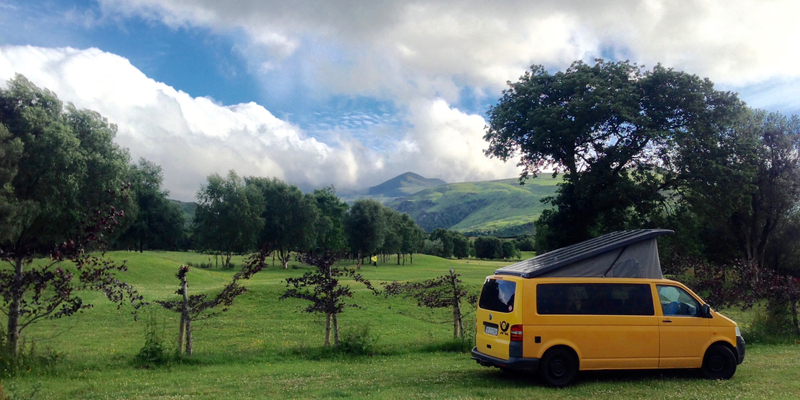 It's the first time i stayed in a camper van and Lazy Days made everything painless and simple. 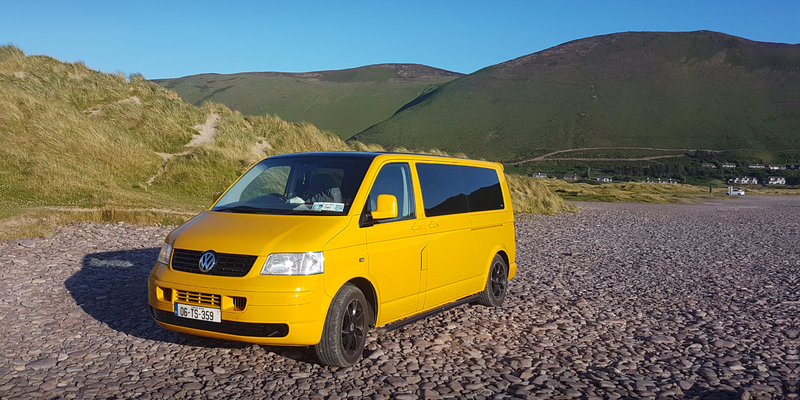 The vans were in stunning condition and I felt bad returning Dakar in a slightly used condition after nights by the Irish sea and on the road. Lovely people, lovely vans, incredible holiday in south Ireland. 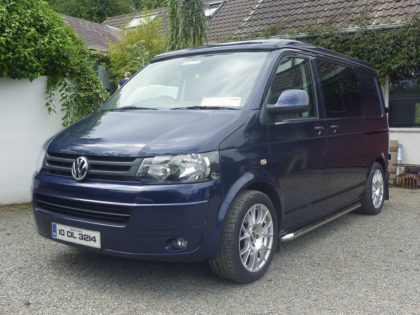 We are Ireland’s leading VW Camper Hire company. Established in 2008 our family run business continues to grow and evolve to provide you with the best campers and hire service around! 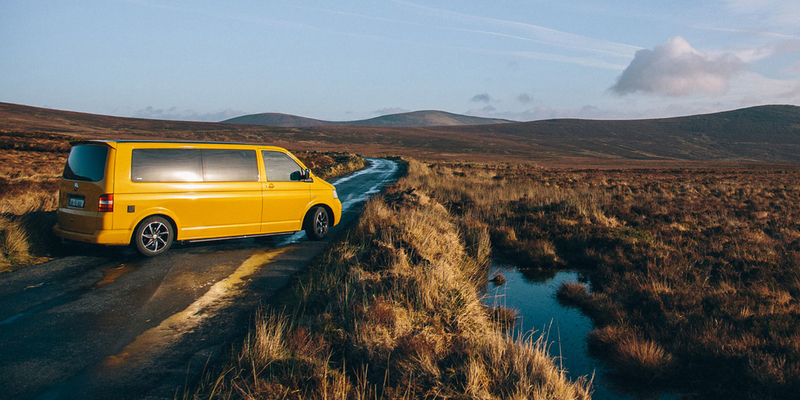 Our fun colourful Volkswagen campervans have bags of character; they are warm, reliable, economical and ideal for trouble free touring and camping. 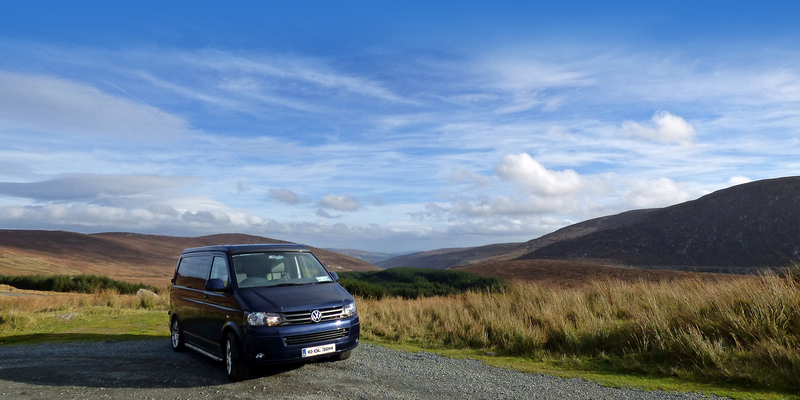 Our campers are a manageable size and very easy to drive, perfect for negotiating small Irish roads, towns & villages. 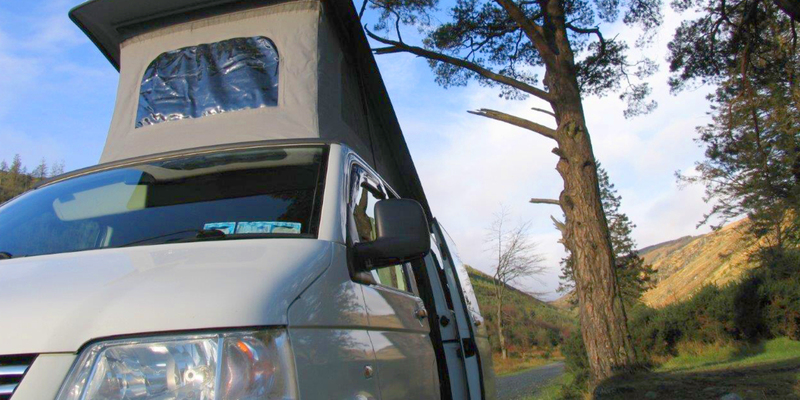 Lazy Days campers are welcomed everywhere, they are the perfect passport to get off the beaten track, meet local people and take full advantage of Ireland’s relaxed approach to camping. 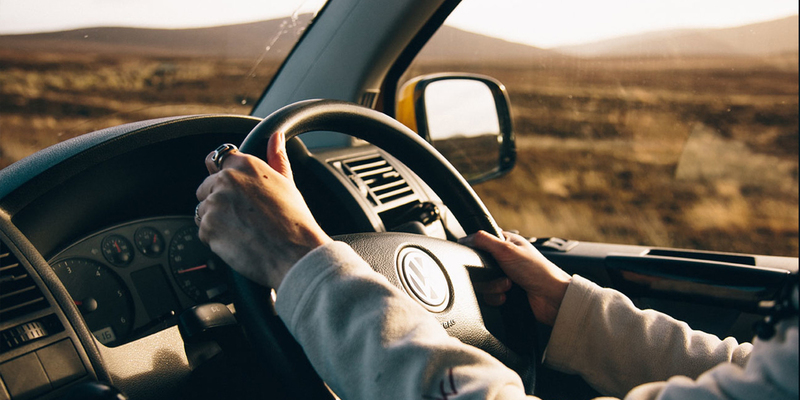 Need a little help planning your route? The team at Lazy Days are happy to help you plan a truly unique and adventurous holiday. We have lots of trip ideas, recommended routes, destinations and campsites to share with you. We are only a phone call or email away and are happy to help you throughout your booking and holiday experience. There are so many things to do and see in Ireland. We are incredibly fortunate to have the freedom to explore some of the most beautiful landscapes and wilderness in the world in relative peace and quiet. 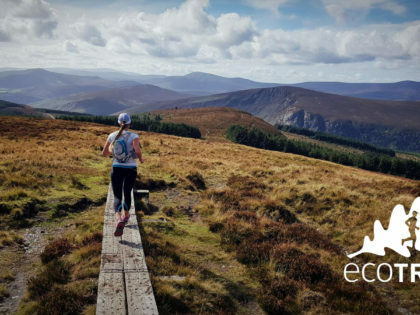 With a Lazy Days van as your base you can Discover Ireland at your own pace in your home-from-home. Smiles for miles nothing else compares. Enjoy the freedom & flexibility our campers afford. Just give Sue a call on +353 (0)87 2885771 or email sue@lazydays.ie to get started.